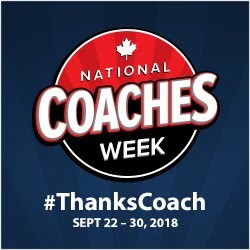 September 22-30, 2018 is National Coaches Week, a time to celebrate the tremendous positive impact coaches have on athletes and communities across Canada. This week is an opportunity to recognize coaches for the integral role they play by simply saying #ThanksCoach. This week is to celebrate the tremendous, positive impact coaches have on athletes and communities across Canada. We wanted to thank you all for all your hard work and dedication over the years by giving you a 20% off discount for a paid Game Plan account! When you're at checkout, use the code "COACHESWEEK" to get 20% off your order! The discount will be discontinued at the end of the day on Sunday, September 30th, so act fast! The benefits of the paid Game Plan account include a 5-year membership, discounted rates to some of the clinics, a practice planner, drill library, videos of practices & clinics and MUCH MORE! Basketball in Manitoba would not be possible without our base of wonderful and dedicated coaches we have! Every one of you plays a major role in shaping our community for the better! We are asking ALL basketball players in Manitoba, current and former, to take a few minutes this week to connect with their coach and tell them what their involvement in your life has meant. Pick up the phone, send an email or a text, connect on social media or in person and THANKS COACH! National Coaches Week is a time to celebrate the positive impact coaches have on athletes and communities across Canada. This is YOUR opportunity to recognize coaches for the integral role they play by saying #ThanksCoach. Core Learning Facilitator Training: Sept 22, 8:30 a.m. – 4:30 p.m. Core Coach Evaluator Training: Sept 23, 8:30 a.m. – 4:30 p.m. Psychology of Performance: Sept 24 and Sept 27 6:30 p.m. – 10 p.m.
FREE: Responsible Coaching Movement: Sept 25, 9:30 a.m. – 11:30 a.m. Manage a Sport Program: Sept 26, 6:00 p.m. – 10:00 p.m.
FREE: Building Team Culture Presentation: Sept 26, 6:30 p.m. – 10 p.m. Fundamental Movement Skills: Sept 29, 9:00 a.m. – 1:00 p.m.
All coaches who attend either of the above courses/workshops during National Coaches Week are eligible to win a National Coaches Week gift bag. The University of Manitoba Bisons athletic teams want to thank all coaches by giving them a FREE ticket to any home volleyball, basketball or hockey game that can be used during the regular 2018/2019 season. Contact: gena.cook@sportmanitoba.ca for more information. The University of Brandon has 10 pairs of Bobcats basketball or volleyball home game tickets to give away! Contact megan.foster@sportmanitoba.ca for more information. 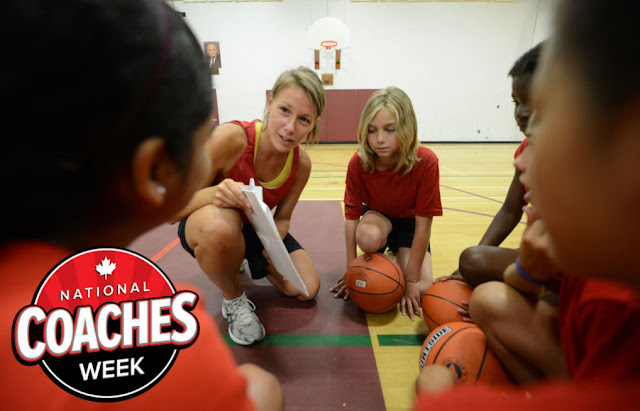 www.coach.ca/nationalcoachesweek and by following along on Facebook and Twitter using #CoachesWeek and #ThanksCoach.